It was an unpleasant evening to say the least Friday in Portales, as temperatures tumbled from the 50s to the 30s in the span of an hour and the winds began gusting to around 40 mph. The turn in the weather forced the host Rams to cancel the remainder of the George Love Relays following the running of the 400-meter dash. But while the meet may have been cut short, the Artesia High School track and field teams were still able to make it count, re-qualifying for the Class 5A State Meet in four events and picking up one new state qualification on the girls’ side. Lady Bulldog freshman Nevaeh Hernandez delivered a first-place throw of 33’11.5” in the shot put Friday to bring the Artesia girls’ state contingent to six events and seven individuals. As a team, the girls in orange didn’t get the chance to try to make a run at first-place Clovis, which finished with 134 points, coming in second with 101.5. But the Lady ‘Dogs finished with two re-qualifications in the javelin – courtesy of Paityn Houghtaling’s third-place throw of 111’9” and Honesty Segura’s fourth-place 108’1” – and added another top finish in the 100-meter hurdles, where Sadi Butler – who has previously qualified in the event – finished with a time of 16.95, .05 of a second over re-qualification. The Lady Bulldogs placed third in the 400-meter relay with a time of 53.00 and fourth in the 800 with a 1:57.11, while the Bulldogs were third in the 800 relay (1:34.71) and seventh in the 400 (45.97). The Artesia boys finished third overall at the George Love with 87 points, behind first-place Clovis (118.5) and Hobbs (105). Junior Kale Mauritsen re-qualified for state in a pair of events Friday, finishing first in the 110-meter hurdles with a time of 15.49 and second in the pole vault with a 13-foot leap. Senior Joe Willingham was just off the mark in the 110 hurdles – fourth with a time of 16.44, .24 of a second over – and the long jump – third with a jump of 20’10”, two inches over – and Jon Baca and Erik Cueto won the 400-meter dash and high jump respectively with marks of 54.78 and 5’10”. 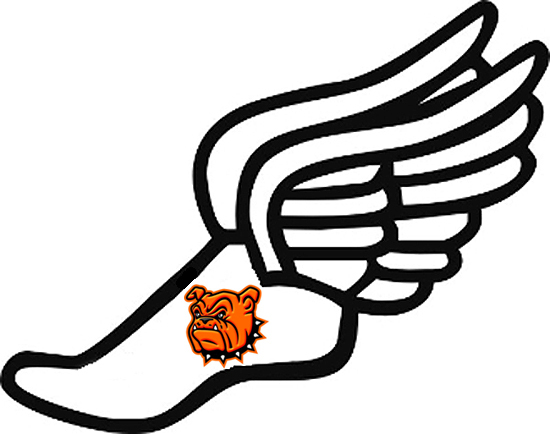 The Bulldog and Lady Bulldog track and field teams will now prepare for the challenging altitude of the Ruidoso Invitational Friday before returning home to spend the next week prepping for the annual Artesia Invitational, set for April 20 at Bulldog Bowl and Morris Field. “We are looking forward to our injured kids healing and being able to get back in the mix,” said Conn.